Soil compaction on grass based sports playing areas is a major problem for sports facilities. 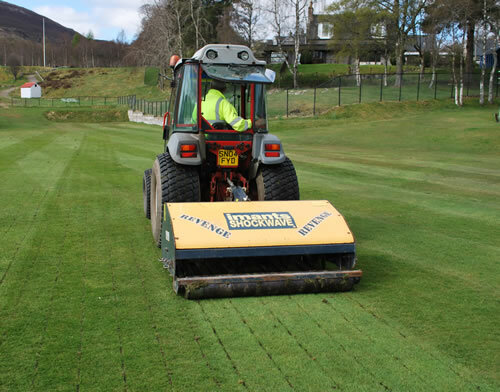 The Imants Shockwave is a linear de-compactor, designed to revitalise heavy wear areas by relieving soil compaction, improving aeration and removing surface water. Soil is displaced by the Shockwave’s blades and as the machine moves forwards, this movement creates a wave action. This shatters the soil laterally and de-compacts consistently from the surface to full working depth, without damaging the surface.